For many car owners, getting a scratch or dent on their cars is an annoying, and sometimes even heart-breaking experience. Bumpers are the parts most prone to damages. While drivers can ignore minor scratches on their bumpers, serious damages, such as big dents and deep gashes, require professional attention. Miramar Auto Body offers the best bumper repair in San Diego that restores your car to like new condition. 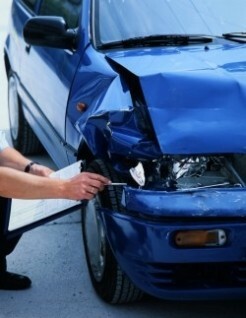 At Miramar Auto Body we are equipped and highly experienced at repairing every manner of bumper damage. From a small ‘Paintless Dent Repair’, to full bumper replacements, with a range of bumper repair techniques available to us we are able to resolve any repair job that comes our way on all makes of vehicles. We will discuss the available options with you. When it comes to experience, our body shop has enviable experience that is second to none. Many bumpers come to us twisted, bent and dented with missing brackets and broken studs, we can repair them to restore them to their former glory. Most of the time, we will complete the bumper repair in the shortest possible time so that you save your valuable time. If it is a minor scratch, we will try to fix it on the spot. We are the auto collision repair specialists in the San Diego area and promise to provide you with the highest level of service. At Miramar Auto body, our belief is to create a long-term personal relationship with all of our customers to ensure that when they want the very best service they know where to come.